I don’t know about you but the holidays are an extremely hectic time for my family. We are a family that celebrates both Chanukah and Christmas, which makes it fun, but also slightly stressful. I am usually the one who hosts at least one of these holidays in my house and I tend to go overboard with cooking for the holidays. After all, a holiday is not a holiday without lots of delicious foods! I am very scheduled with what I am going to cook and how I am going to entertain my guests. My food preparation list is usually done way in advance but the actual cooking is what has me in a frenzy every single year. I want to enjoy my time cooking but it gets really stressful when the kitchen appliances you have in your home are outdated and makes the cooking process that much longer! This year though I am going to make cooking much easier with the latest appliance technology including induction cooking that enables you to boil water in less than two minutes like the Frigidaire FGIF3061NF. Seriously if I could boil water in two minutes, I can be golden to make the vast amount of dishes I make every single year. Not only that, but by using the induction methods with the Frigidaire FGIF3061NF, it will help reduce clean up time because spills don’t burn on. A win-win for all! This Frigidaire range of appliances also includes a convection oven which circulates the air in the oven for quicker baking time. Another great innovation within cooking are double ovens that let you cook two dishes at two different temperatures at once like the Whirlpool WGG555S0BS but still fits within the space of a standard range. Right now in my household, I have one oven and have limited abilities to cook multiple dishes. I have to usually wait until one dish is done before I cook another. It can all be painfully slow and most of all inefficient. 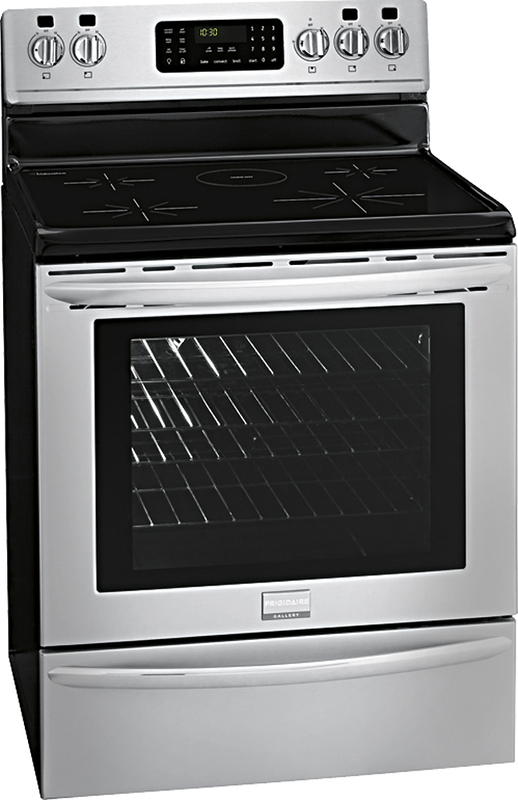 By using the Whirlpool WGG555S0BS, I can cook my turkey and casseroles using two different temperatures simultaneously. Amazing if you ask me! This holiday season, make sure you check out these amazing appliances from Frigidaire and Whirlpool at Best Buy, so you can get delicious food served without the hassles of spending all day in the kitchen. Saving time on the holidays is huge since it allows you to spend more time with the people you love most, friends and family. Happy 6th Birthday Hayley Rose! My Post-Pregnancy Fashion Style- Kohl’s to the Rescue! I really want that oven that lets you cook at two different temps. That would make it quicker to prepare dinners. 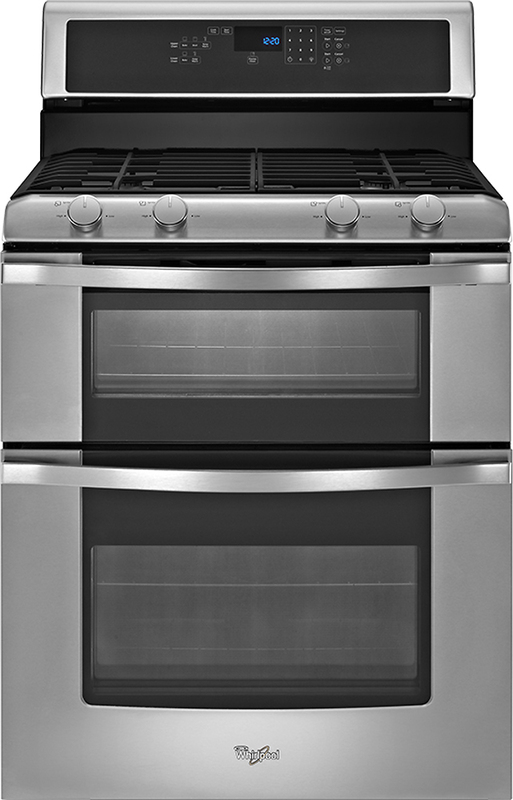 I am in love with those double ovens— my dream appliance. I just wish I had the funds to buy one because it certainly would save me a TON of time in the kitchen, especially during the holidays. The convection oven would be so much better than my old thing. Our oven is so inconsistent in heating! That’s a nice one! We have a GE that seems to work well. I really want a Viking though! LOL! One can dream. What a beauty. I’d sure love to cook in that for the Holidays. Love these, they look so sleek. I wish I has stainless steel appliances, kicking myself for going standard when our home was built.